Take a few moments to see how Procurex has achieved cost reduction in numerous manufacturing processes for our clients! Over the past 20 years, we have managed over 200 projects, saving over $200 million for our clients. We manage each project from start to finish to insure maximum savings for our clients. Learn where your profit leaks are today! Allow us to provide a FREE Benchmarking Analysis for your company. A Plastic Injection Molding Company was experiencing increased pressure from the continued price increases applied by United Parcel Service on their $2 million in annual parcel shipments. Procurex was tasked with finding solutions to minimize the effect of increasing pricing. Analysis: Billing errors, service related recovery fees, internal shipping efficiencies, and negotiating improved discounts more than offset the rising cost of fuel. Once a cost center, parcel expenditures were converted into a profit center. A International Lawn Shed Manufacturing Company was experiencing inefficiencies and cost overruns related to their $2.9 million in annual Less-than-Truckload (LTL) freight costs. Procurex was tasked with identifying efficiencies and negotiating improved rates. Analysis: Fuel surcharges almost 50% higher than typically obtainable were found. Additionally, the effect of a single vendor billing, automated invoice auditing and reporting functions led to much improved efficiency and the freeing of human resources. A Decorative Ribbon Manufacturing Company was experiencing ever increasing minimum charges, and double-digit fuel surcharges. Procurex was tasked with improving LTL freight costs. Analysis: The discounts and minimum charges from the existing trucking companies were very aggressive. A detailed analysis of the shipping profile identified that most shipments could be delivered utilizing a ground parcel carrier at a reduced rate inclusive of fuel surcharges. A Blood Testing Equipment Manufacturing Company needed to ship blood testing strips. It was essential that the strips be maintained at a set temperature during transportation. To accomplish this task, the manufacturer purchased $240,000 in cardboard boxes lined with six two-inch-think pieces of Styrofoam. The boxes physically weighed 19 lbs. each, but because of their size, they were priced according to their dimensional (DIM) weight at 44 pounds per box. Analysis: Better shipping rates were negotiated and an alternative packaging for the shipment was designed. The new package was much thinner, with just a quarter inch of polyethylene foam and internal and external layers of thermal reflective foil. The new box offered improved insulation and therefore improved product protection during shipping. The manufacturing company had never considered it as an alternative, however, because the new box cost 20% more. The true cost savings were realized when the new box was shipped. The weight for the new box was just 23 pounds compared to the previous 44 pounds, decreasing the cost of shipping from $86 per box to $44 per box. A Medical Device Manufacturing Company was frustrated because of the ever-increasing costs of their electrical components for their annual $2.2 million annual spend. Analysis: The 5% annual rate increase was avoided and an additional 20% rate decrease was secured through negotiations and a frank discussion about the decreasing cost of making the components over a twenty year period. 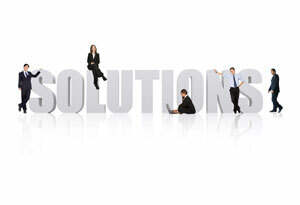 Start saving through effective manufacturing cost reduction solutions. Call Procurex today at 1-800-425-0795.